Among songbirds, orioles and figbirds are so typical in appearance and behavior that their origins and relationships have excited little interest. But molecular evidence shows that they are closely allied to Old World cuckoo-shrikes (Campephagi-dae) and other crow-like songbirds, not starlings (Sturnidae) as traditionally held. Like cuckoo-shrikes, orioles and figbirds are outlying members of a massive evolutionary explosion in crow-like songbirds that originated in Australia in early- to mid-Teriary times, more than 30 million years ago, and then spread north and west through the tropical and temperate Old World. Whether today's orioles and figbirds actually arose in Australasia, or diversified outside to re-enter Australia later within the last few million years, is still in dispute. 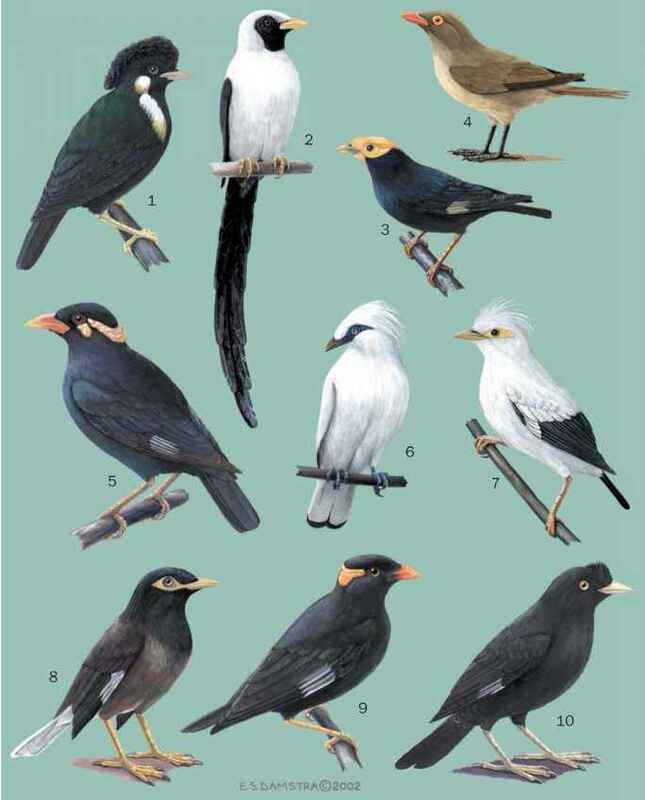 Oriolidae comprises three species of figbirds (Sphecotheres) and 26-27 of orioles (Oriolus). The three figbirds replace one another geographically in different parts of tropical Indo-Australasia east of Wallace's Line. The orioles comprise four, perhaps five, species-groups: golden-headed orioles, a widespread migratory group of four species in west and east Eurasia, India, and central Africa; a black-headed group of seven resident species in Africa, and the black-hooded oriole (O. xanthornus) in east Asia; the four sedentary dusky orioles of Southeast Asia and adjacent archipelagos; and the streaked, juvenal-plumaged Australasian orioles, with seven species. The three or four remaining oriole species, all Southeast Asian, are of uncertain affinity.